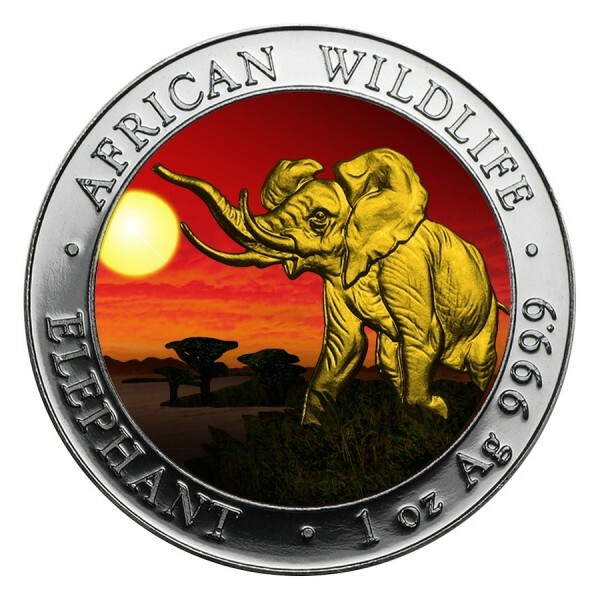 The 2016 Somalian Silver Elephant pieces feature on the obverse a majestic elephant tromping through the savannah. 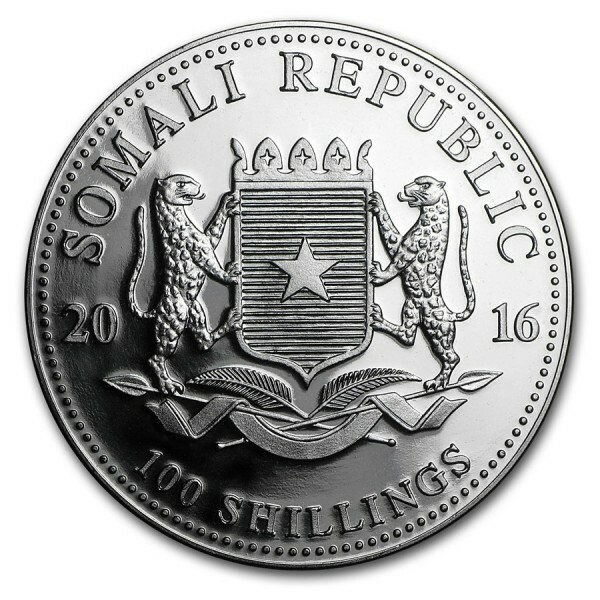 The reverse bears the Somalian Coat of Arms and the date along. 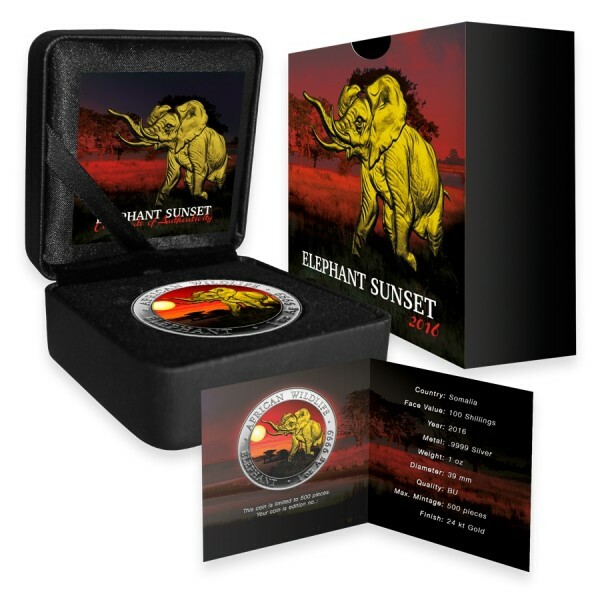 With a design that changes every year it adds collectibility and interest to this silver piece. In Brilliant Uncirculated condition, it contains .9999 fine Silver!